Matt may think that the Wii U is the E3 champion, but I’m not convinced. It looks like a fun and versatile device, but I’m not sure it’s as accessible as the Wii, which focused on motion and a few primary buttons to make gaming as simple as possible. The Wii U is clearly powerful in some ways but not nearly the breakthrough device the Wii was. 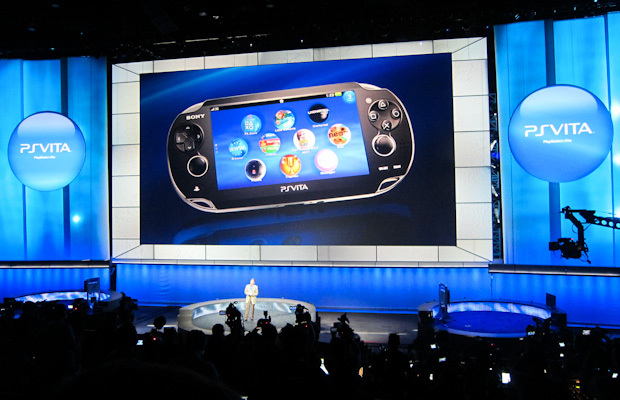 The Playstation Vita, on the other hand, isn’t even trying to be a breakthrough device. It’s simply an extremely powerful and versatile portable gaming system. While I have my reservations about the system, Sony convinced me today that it’s going to at least fulfill its own mission. And the price? Mwah, I kiss my fingers. Perfection. Sony has been under fire these last two months, and they’ve learned from both the PS3’s launch and the PSP Go. People are tired of paying Sony prices, even for good devices. I bet the $250 price was only finalized in the last month, when someone with sense in their head said that if this handheld is priced over $300, it’s going to be strike three for Sony. So even though this thing probably costs around $300 just to put together and package (big OLED touchscreen, mega-compact construction, custom processor and GPU), they’re doing the right thing by sucking it up and taking a hit with every sale. That’s the price of expanding your market when you have aggressive and powerful opponents. Sony has finally shown that they can actually learn from their misfortunes and their customers’ criticisms. Sometimes. The screen is gorgeous, the games look insane, and now Sony fanboys have a legitimate reason to stay Sony fanboys. It isn’t my style of gaming, but I have no problem saying they did this one right. Assuming the battery lasts more than an hour.